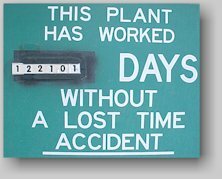 At AFFCO safety is not optional . .
AFFCO has a most enviable safety record while working under both OSHA and MSHA regulations. Currently this page is under construction, but will shortly provide statistical data and ratios to customers.